Jason Beres, Account Manager for Farm & Garden Centre in Saskatoon, Sask., uses JDLink to track the operation of equipment he has sold. 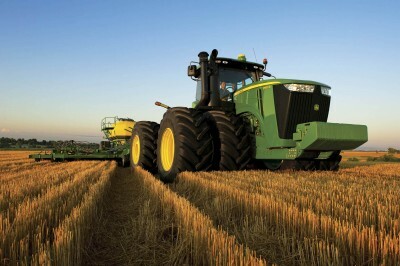 Building on the intelligent, JDLink-equipped 8R Series tractors introduced in early 2011, in August John Deere announced that the telematics package would also be available on the new 9R Series tractors. JDLink Ultimate Service and Service Advisor Remote give the tractor the ability to send location, operation and performance data via the Web and cell phone. "The telematics and remote monitoring features … help producers gain even more efficiency and productivity while avoiding downtime and improving the management of the fleet," said Chad Hogan, John Deere division marketing manager, when JDLink was announced in the 8R tractor line last year. "If a service issue develops in the field, technicians at the dealership can remotely identify the problem, determine the tractor's location, and proactively address the problem." It’s been more than a year since JDLink-equipped tractors have been available. “I have a few of those 8R tractors out in the field already. I’ve pulled a tractor up on my laptop in my office and chided the owner about sleeping in. I could see the tractor didn’t start up until 10 a.m.
"With JDLink, Farmer A — who has four hired guys — can relax a little because I can tell him how that tractor is being driven when he’s doing other work. If there is something out of the norm, like the tractor is in the wrong place, I can tell the owner that something’s unusual. “When I tell customers I can do that, they’re like, 'Get the hell out of here!' For some guys this provides peace of mind. They don’t have to watch the hired man now. “They also like that the tractor will tell them when it needs to be serviced. The system will throw a code for a problem such as a plugged air filter. Jason Beres can track equipment, like this John Deere 8R Series tractor, out in the field from his office. "Owners will call me or a technician and ask what a code means. The technology exists to just flash exactly what’s wrong, but I think using a numerical code helps keep dealers in the loop. Each code is printed in the operators manual, too, but not many farmers read those. “JDLink also gives us remote display access. If a code is being thrown by the tractor, the service manager pulls it up and diagnoses the problem remotely, saving a $115 an hour service call. In the long run, it's a win-win for us and the customer. We don’t have to send a man out there with a truck to figure out what’s wrong. Out here on the Prairies, our travel time can be very long between farms. “Going forward I will be able to see the tractor on my smartphone, so if the farmer can’t get in touch with a technician and I'm on the road, I can help them by looking it up on my phone. 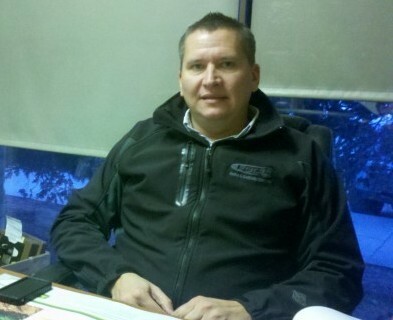 “With so much information available to dealers, we have to find a way to manage our time. We can’t sit there monitoring each tractor all day. Every morning we get an e-mail update about the tractors in the field. We can easily look up the data if an individual farmer is concerned. 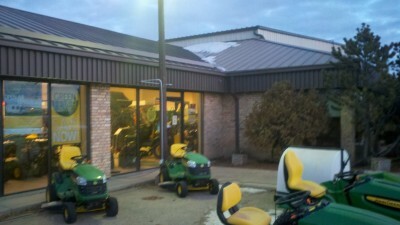 For example, a customer will call us to help locate his tractor. We can see a geographical area and tell him exactly where it is, and where it’s been. “There are a lot of guys who depend on me already for making recommendations for what equipment they need on their farm, based on my knowledge of their operation and the relationship I have with them. Most go along with what I suggest. With JDLink, I now have the numbers to back it up. At the Farm & Garden Centre location in Saskatoon, Sask., the service manager avoids sending out technicians during busy parts of the year by diagnosing problems remotely. “A lot of guys will buy the 3-3-1 service package, which is three years extended Powerguard protection, a three-year parts and service plan and an undefined, dealership-driven option. 'One' could be three service calls, free oil filters, etc. The cost is $1,200, where the cost of the Powerguard warranty on a regular program is $2,500. For my customer's it’s a no brainer. When farmers get 3-3-1, it includes JDLink.